Death and taxes, those are the only two certainties in life. After getting promised next dibs at the UFC welterweight title in October, only to have the offer withdrawn by UFC president Dana White just two months later, then have White issue the next-next moniker last week, Rory MacDonald will once again have to prove he’s worthy of top contender status. On this week’s edition of “UFC Tonight,” White said the person to get first crack at champion Robbie Lawler’s freshly-minted hardware will either be the victor of March 14th’s shootout between former champ Johny Hendricks (pictured) and Matt Brown or April 25th’s tango with MacDonald and Hector Lombard – whoever posts the most impressive performance. The original plan was to have MacDonald meet Lawler, but White did an about-face after Lawler upset Hendricks for the crown in a hotly contested, and somewhat controversial, decision victory. With the score knotted up at one apiece, White decided to renege on his promise to MacDonald and arrange an immediate trilogy between Lawler and Hendricks. However, Lawler needs a break after fighting five times in the last 13 months, with three of those bouts going all five rounds. 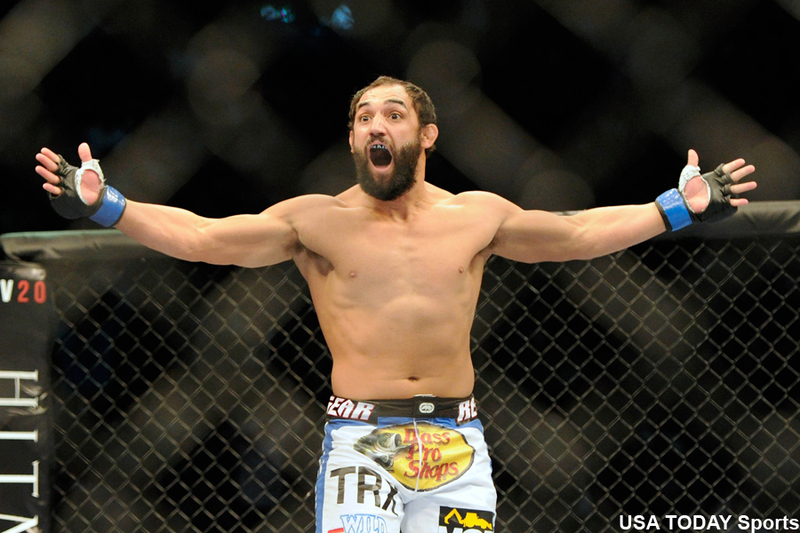 Hendricks was then re-assigned to Brown at UFC 185 and MacDonald was issued to Lombard for UFC 186. I guess the bright side to former champ Georges St-Pierre voluntarily vacating the title over a year ago is that the welterweight division he left behind has never been more competitive.